How do you celebrate the 86th birthday of a man who wrote the most widely read book in African literature? Host a hangout “across computers, Android, and Apple devices“ on a WhatsApp group. The Sierra Leone Writers Seriesgroup, which marked its second birthday November 14, connects poets, novelists, writers, performance artists, painters, playwrights, and musicians of Sierra Leonean descent. To mark the birthday of Africa’s legendary Chinua Achebe (he would have been 86 today) Dr. Mohamed Gibril Sesay, author of This Side of Nothingness (publishers: Sierra Leonean Writers Series and Karantha Publishers), sociology professor, and Sierra Leone’s Minister of State, weighed in with Kemurl Fofanah, a young poet and writer currently studying for a Bachelor of Arts in Peace and Conflict studies at Fourah Bay College, University of Sierra Leone. 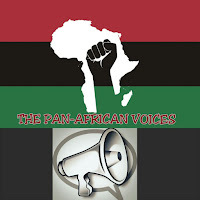 Pan-African Voices, a platform for African poets, is seeking more poets from Africa and around the world. The group caters to those with a prowess in voicing messages of peace, love, and unity throughout Africa and the world. Join Pan-African Voices to share poetry, take part in discussions, as well as literary criticisms and analysis. Vitabu: In Abayomi Roberts’s report on your book launch, he talked about how the African-Canadian community came together in Edmonton last fall for A Suitcase Full of Dried Fish and other stories. Abayomi said your speech touched on your own life and work as an airline steward with the then national carrier in Sierra Leone. You reportedly said that experience inspired the title story. Please share your suitcase experience with our audience. 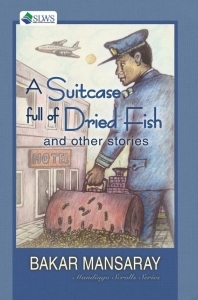 The title story was set in the mid-1980s, when I travelled from Freetown to Paris as air cabin crew, with a suitcase full of dried fish.